Q: Why did we open PWCC? A: Penn and Wharton (Penn’s business school) have a long history of engagement in China, encompassing numerous consulting projects, exchanges, and collaborations. The extensive nature of these interactions led to a need for Penn and Wharton leadership to further support and facilitate the full scope of its engagement there. Therefore, Wharton’s WFOE was set up in January 2013 in Beijing, and the need was further fulfilled through the 2015 opening of the Penn Wharton China Center by Wharton’s WFOE. 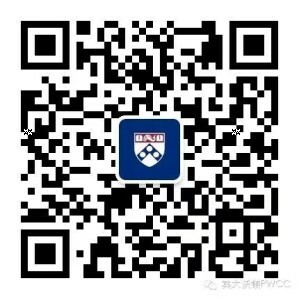 Q: What does the Penn Wharton China Center do? A: The Center functions as a vibrant hub that supports and facilitates the exchange of knowledge between Penn’s faculty, students, alumni, and friends and their Chinese partners in academia, business, government, and other sectors. These exchanges include bilateral research collaborations, exchange programs and activities with Chinese faculty and experts, as well as Penn study abroad programs at partner Chinese universities and alumni networking opportunities. It also provides alternative delivery options for Wharton’s “Programs for Executives” clients who prefer to receive our world-class business knowledge and experience in China. A: The Center offers workspace for visiting Penn faculty and staff, meeting rooms, and state-of-the-art presentation amphitheaters. Center leaders are in regular contact with partners and peer institutions in China and are able to facilitate dialogue and interaction. We have a staff dedicated to serving visitors from Penn with any inquiries regarding their China travel and making referrals to local suppliers for travel agency and translation services as necessary. We also provide event management resources on a fee basis. Q: Are Penn alumni, parents, and students welcome to visit the Center? A: Absolutely. The Center is open to the entire University community on Mondays through Fridays (except on Chinese Holidays). Any Penn affiliate interested in reserving a conference room or using the center for a University-related event is advised to contact us in advance to check availability. Q: Is the Penn Wharton China Center a campus? A: The Center is not a campus or a campus extension. Q: Does the Center serve as the first point of contact for study abroad opportunities in China? A: Penn’s Study Abroad office, based on campus in Philadelphia, is the first point of contact for study abroad programs. The Center supports the Penn Study Abroad office in its implementation of Penn’s study abroad programs in China. Q: Can the Center help me get a visa to visit the Penn campus? A: Students and scholars should consult the Penn’s Office of International Student and Scholar Services (ISSS) for information about obtaining the appropriate visa to support your travel. Q: How does the Center advance Penn’s collaborative relationships with Chinese institutions? A: Penn has institutional relationships—some very longstanding—with 17 different universities in Mainland China, many of which are China’s most elite. We do not partner with any single Chinese university. The Center functions as an independent platform to support these relationships as well as facilitate the development of new relationships with leading Chinese institutions. Q: How does the Penn Wharton China Center advance Penn’s collaborative relationships globally? A: The Center is a nexus of global engagement for alumni and friends of the University throughout Greater China, East Asia, and the rest of the world, serving an important role in developing global leaders. Q: Do Penn and Wharton organize events in Chinese cities beyond Beijing? A: We frequently hold events and support collaborations elsewhere throughout Greater China, especially in conjunction with local partners and alumni clubs—and will continue to do so. Q: Does the Penn Wharton China Center offer degree programs? A: No, there are no plans to offer degree programs in China under the aegis of Penn, the Wharton School, or the Center. Q: Does the center help students gain admission into Wharton? A: The center is not involved in admissions activities. At Penn, undergraduate admissions (for bachelor’s degree programs) are handled by Penn’s Office of Undergraduate Admissions, while each of Penn’s 12 graduate schools have their own admissions departments. To learn more about undergraduate and graduate admissions, visit the Penn Admissions page. Q: How many students from China attend Penn and Wharton each year? A: The numbers are on an upward trend. Wharton’s first degree holder from China was Mr. Chen Guangfu (K.P. Chen) who graduated in 1906. We now have approximately 79 Chinese students in our MBA program and 82 in our undergraduate program. In 2014, Penn welcomed 1,985 undergraduate, graduate, and non-degree students from China. This is the largest number of Chinese students among Ivy League schools. Q: How many Penn and Wharton alumni live in China? A: Wharton has close to 700 alumni who reside in Mainland China, served by alumni clubs in Beijing and Shanghai, and almost 1,800 in all of Greater China, with alumni clubs in Hong Kong and Taipei. All together, Penn’s 12 schools have more than 15,000 alumni in Greater China, with alumni clubs in Beijing, Shanghai, Hong Kong, Taipei, and Singapore. Especially large contingents of alumni are from the School of Medicine, Law School, School of Engineering and Applied Science, School of Arts and Science, School of Design, School of Dental Medicine, and Graduate School of Education. Q: Is Penn a member of the Ivy League? How does a University become a member of the Ivy League? Does it have to do with annual rankings? A:Penn is one of the eight American Ivy League schools, and one of the seven Ivy League schools founded even before the United States of America gained national independence. Established as an athletic conference in 1954, the Ivy League has come to be synonymous with academic excellence and highly selective admissions. While all eight Ivy League schools consistently rank among the top 20 universities and colleges in America—and among the top universities worldwide— annual rankings are separate from Ivy League membership. For historical reasons, the eight school members in the Ivy League have never changed, but the term “Ivy Plus” is often used to include other elite schools in the United States, including Stanford and MIT. Q: Is Penn operated by a state government or is it a private institution? A: The University of Pennsylvania (“Penn”) is a private institution in Philadelphia, Pennsylvania, founded in 1740—not to be confused with Pennsylvania State University (“Penn State”) which is a public institution located in State College, Pennsylvania. Q: Is Penn really America’s first university? A: It really is. Please visit the University History page if you are interested in learning more.